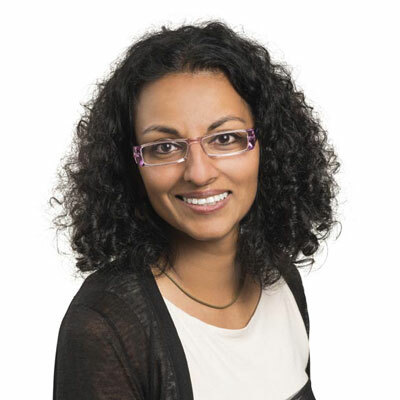 Anita Pandey is the VP of Marketing for Velostrata. She has over 20 years of experience as a marketing leader with go-to-market expertise across multiple start-ups and established companies, driving new and disruptive technologies spanning networking, unified communications, wireless and cloud security. Before joining Velostrata, she led marketing for Cybera and Mojo Networks where she expanded their brand presence and drove significant growth through strategic sales and channel enablement. Prior to that, Pandey led channel marketing and demand generation for Ruckus Wireless through a very high growth period, culminating in their IPO. A longtime infrastructure veteran, she has also held a variety of marketing and business development positions at Cisco. She launched some of their most profitable channel & demand generation programs and developed several impactful partnerships, accelerating their wireless market share and diversifying their vertical industry presence. Pandey holds a master's degree in business from the Sloan School of Management at MIT. Having come from a channel-first background, my first priority at all my companies is to make the channel our go-to-market priority. Since it's very difficult to change a direct sales culture to a channel-first one, especially at scale, I made it my mission to ensure we created that mindset at Velostrata early on. For start-ups, it can be very tempting to go direct to build market beachhead, so this takes a lot of discipline, trust and continued collaboration. In just a few short months, we were able to double down on the partners who had already expressed interest in us, and implement a number of critical new channel programs to yield partner returns that created mutual trust in our commitment: • Revamped and clarifying our partner program mission, tiers, and requirements. • Upgraded and re-vamped our partner portal, with a focus of ease of self-paced education and training, as well as cooperation between them and our own sales teams. • Implemented a multi-touch recruitment campaign to bring new partners into our channel ecosystem. • Worked directly with sales leadership to build the appropriate internal infrastructure to accommodate the channel-centric shift. Our goals over the next year are to recruit at least 50 new channel partners in the United States and Europe, in addition to 5-10 large, global system integrators. Recruitment, onboarding of partners, and maintaining and scaling our "easy to do business with" culture will be our highest priority - alongside strategic and impactful integrated marketing campaigns that help partners attain a trusted advisor status with their customers. The portfolio of those campaigns will span everything from digital/social marketing support to physical events in a variety of formats from workshops and meetups to lunch-and-learns, to major events. In just a short time at Velostrata, we've been able to win awards that include CRN's 20 Coolest Cloud Vendors, CRN's Tech Innovator, and Gartner's Cool Vendor awards. Prior to Velostrata, Anita led prior companies to win the CRN Annual Report Card awards voted for by the channel community and the '100 People You Don't Know But Should' award. And, she looks forward to adding many more awards to Velostrata's portfolio going forward as well. I greatly admire women like Katrina Lake, the CEO of Stitch Fix. She has accomplished many firsts as the youngest female founder-CEO to take a company public. Her story, full of setbacks and now ultimate success, has given women in business an unprecedented roadmap for resilience and holding investors accountable for gender diversity. She continues to surface the entrenched bias in our business community against female entrepreneurship and push the envelope by showing us concrete ways we can measure whether investors are truly aligned with both our vision and our values as women. While I was always a very independent person who pushed the boundaries of critical thinking in so many ways, I would advise my younger self to stop questioning the value I brought to the table by playing from my strengths and not my perception of what society valued. It's less a job-related skill as much as it's a human virtue that I have come to value more and more with time: patience. Certainly, at the pace of business today, impatience does have its place in fostering a nimble and agile business culture, but resisting that temptation every now and then to foster more perspective means one is more balanced as a person because they don't sweat the "small stuff". The best book I read this year was "Give and Take" by Adam Grant. By aligning giving and taking people up with you, this book gives substance to age old truths about the power of giving and it's multiplier effect on business success. This book is the perfect antidote to our narcissistic times.